Few people could claim seniority over former Sen. Thad Cochran. Doris Wagley, who was his scheduler since before he was sworn in to the House in 1973, is one of them. “I showed up at 9 o’clock. He was there, but he didn’t take his oath in the House until 12 noon. So he started talking about me having three-hour seniority over him,” Wagley said. Cochran resigned on April 1, and now Wagley is cleaning out their office in the Dirksen Senate Office Building before she retires herself. “Here we are. I had no idea as we went on — there was just no reason for me to leave. And he never fired me,” said Wagley, 74. Wagley had previously worked for former Reps. Cliffard Carlson and Charlotte Reid of Illinois and Glenn Cunningham of Nebraska. When Carlson did not run for re-election, Wagley read the biographies of the newly elected Republican congressmen and wrote letters to the home addresses of 10 of them. Cochran, a young Mississippi lawyer, was on the list. 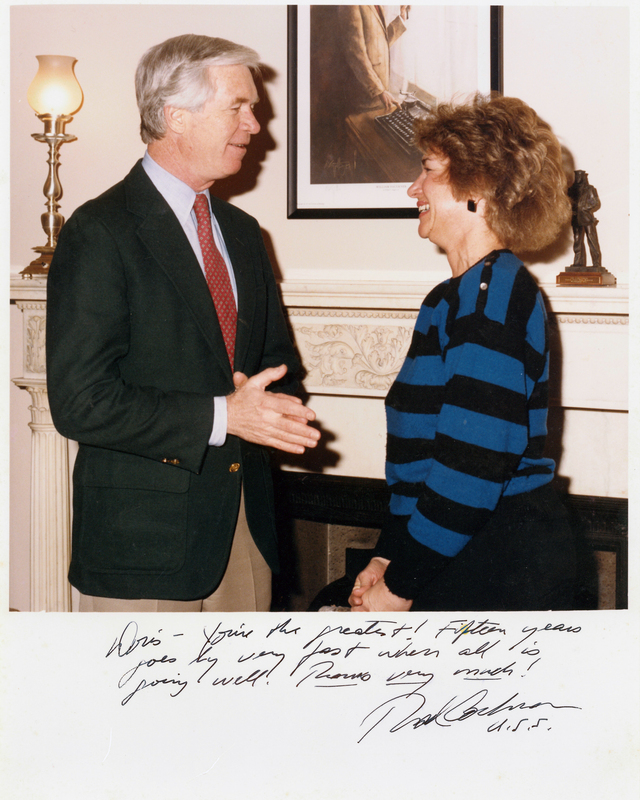 Cochran wrote her a letter in response, asking to interview her for his personal secretary job. As a House freshman, Cochran kept former Democratic Rep. Charles H. Griffin’s staffers who wanted to stay, she said. Wagley and two others were the only new arrivals in the office. Political affiliation didn’t matter as much back then, Wagley said. 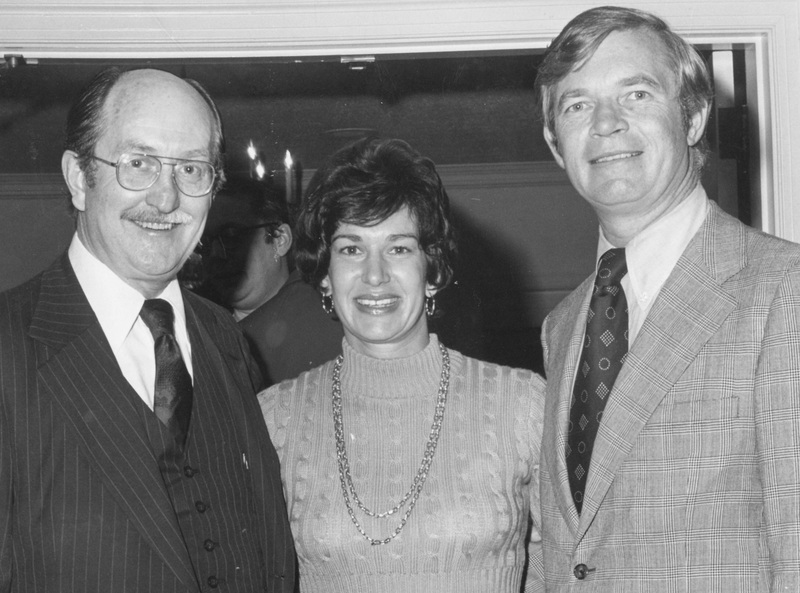 She remembers Cochran hitting it off with lawmakers across the aisle when he moved to the Senate, including Claiborne Pell, a Rhode Island Democrat with an office next door. “We all talk about the time in the early Senate — Sen. Pell from Rhode Island was next door to us, he was much senior to Sen. Cochran. They were just delightful people, and it didn’t matter what party you were part of,” Wagley said. The title personal secretary became the scheduler position of today. The hours haven’t changed, though. When she was first hired, Cochran told her she could leave at 6 p.m. every day. Did the senator keep his promise? In the House, Cochran’s office was next door to then-Rep. John Y. McCollister, whose administrative assistant (a position now called chief of staff) was future Defense Secretary Chuck Hagel. “We were all children together,” Wagley said of her friendship with Hagel, now 71. And before she knew it, her boss became the senior senator from Mississippi and chairman of the most powerful committee on Capitol Hill. “You do everything day to day. And then all of a sudden, you realize he has gotten so much seniority. After he became chairman of the Appropriations Committee, he had so many people come in to see him and we got to do so many things,” she said. Amid the daily grind, Wagley had some fascinating experiences. She had coffee with former first lady Rosalynn Carter, who was waiting in her office as Queen Elizabeth II addressed a joint meeting of Congress. 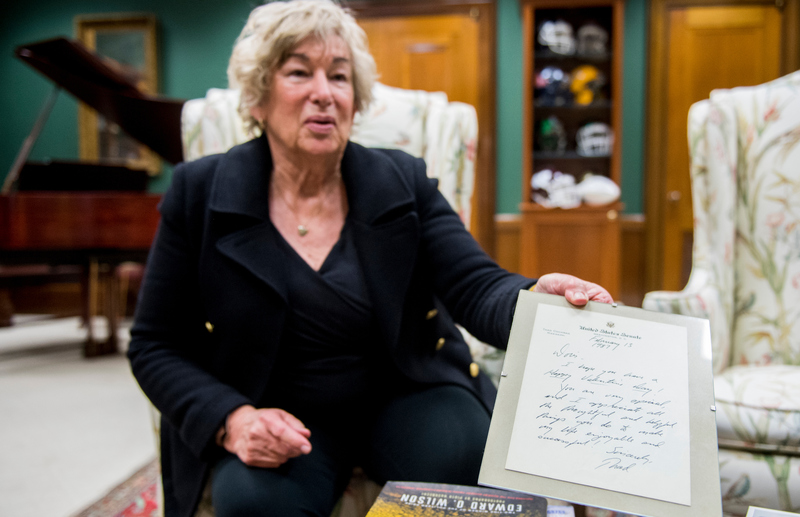 She sat at her desk as Cochran and former President Gerald R. Ford held an impromptu meeting in front of her. But what kept her around for all these years was Cochran himself. Wagley’s advice is to find a boss you can respect. “I tell my interns, ‘Work for somebody smarter than you so you’re going to learn something,’” she said.